Posting this just under the wire, but the 15th annual Melbourne Underground Film Festival is still open for submissions. If you want to get your film in, the deadline is only a couple of days away: June 20. MUFF has been around a super long time — 15 years is an incredible achievement! But, they know a festival can’t hang around that long and rest on its laurels to still stay relevant. Thanks to the aggressive personality of the fest’s director, Richard Wolstencroft, MUFF has been and continues to fight against staid Australian — and worldwide — mainstream stagnation. 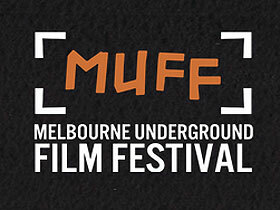 MUFF is more than a film festival. It is a cinema movement and local Indy revolution. Works are being created from filmmakers who met exclusively at MUFF (Jugular for one example) and incredible synergies and filmmaker collaborations are forming. If you want to be an Indy filmmaker locally and you are NOT networking at MUFF – you are mad. All the young, inventive and aggressive new talent is here. We make MIFF’s tired 37 South look like a retirement home for dull Senior Citizens. We are The New Blood and we want Fresh Blood in the form of the best and most exciting Indy, Guerilla and Underground cinema from both Australia and Overseas. If you want to be a part of the revolution, get your film in quick! Submit on their official website. In the fifteen years of its existence, MUFF has been no stranger to pushing boundaries. Showing movies such as A Serbian Film and even an illegal screening of LA Zombie, the Melbourne Underground Film Festival is dedicated to showing the life of cinema in all of its shapes and forms. It has also helped propel many Australian filmmakers into the greater mainstream, showing works of such directors such as James Wan and Greg McLean. The Melbourne Underground Film Festival is looking forward to many more years of controversy and discovery.